"Lord Ganesh, spare us misfortune, make things go well here." Transmission Films in the UK has debuted a trailer for Jacques Audiard's Dheepan, which won the Palme d'Or at the Cannes Film Festival last year (2015). The film is slated for release in the US this April, but for now this trailer comes from the UK and shares footage from what some are calling a masterpiece. Jesuthasan Antonythasan stars as Dheepan, a Sri Lankan Tamil warrior who flees their Civil War, ending up France. He takes two strangers with him and they struggle to make a home in a housing project outside Paris. This looks better then many are expecting, so I hope people give it a chance and watch this. Audiard is an exceptional filmmaker, and always impresses. Dheepan is a Sri Lankan Tamil warrior who flees to France and ends up working as a caretaker outside Paris. To escape the civil war in Sri Lanka, a former soldier, a young woman and a little girl pose as a family. They end up settling in a housing project outside Paris. They barely know one another, but try to build a life together. Dheepan is written & directed by award-winning French filmmaker Jacques Audiard, of the films The Beat That My Heart Skipped, Un Prophete, and Rust & Bone previously. The screenplay is written by Jacques Audiard, Noé Debré and Thomas Bidegain. 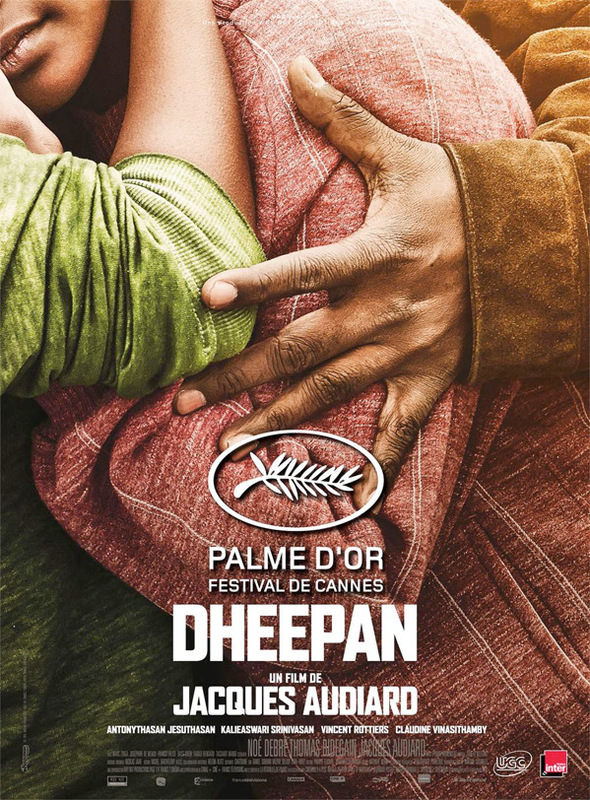 Dheepan first premiered at the 2015 Cannes Film Festival, winning the top prize Palme d'Or. It also played at TIFF, Helsinki, Busan and London Film Festivals. Sundance Selects will release Dheepan in select US theaters starting April 2016 later this spring. UN PROPHETE was a triumph. This looks like a stellar piece of filmmaking. Saw this some months ago. Good movie! People living in hell. Will watch.